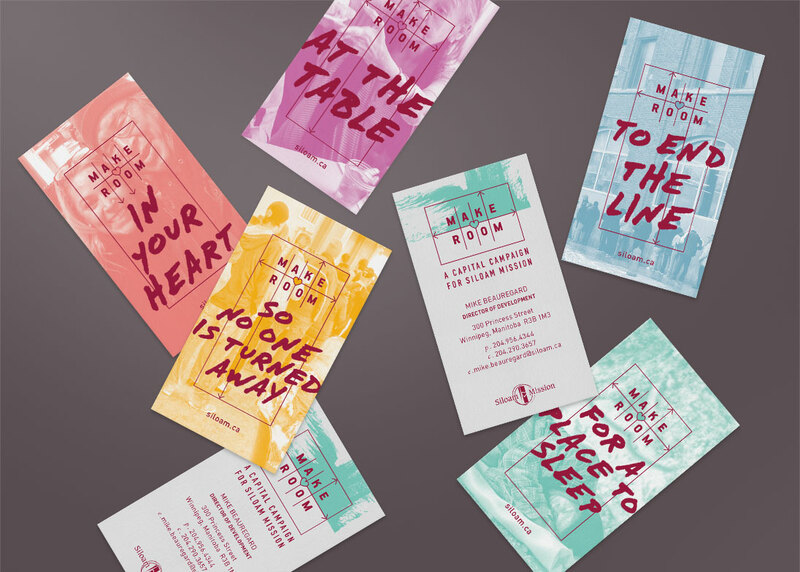 Siloam Mission is a humanitarian organization in Winnipeg, Canada, working to alleviate hardship and provide opportunities for change for those affected by homelessness. 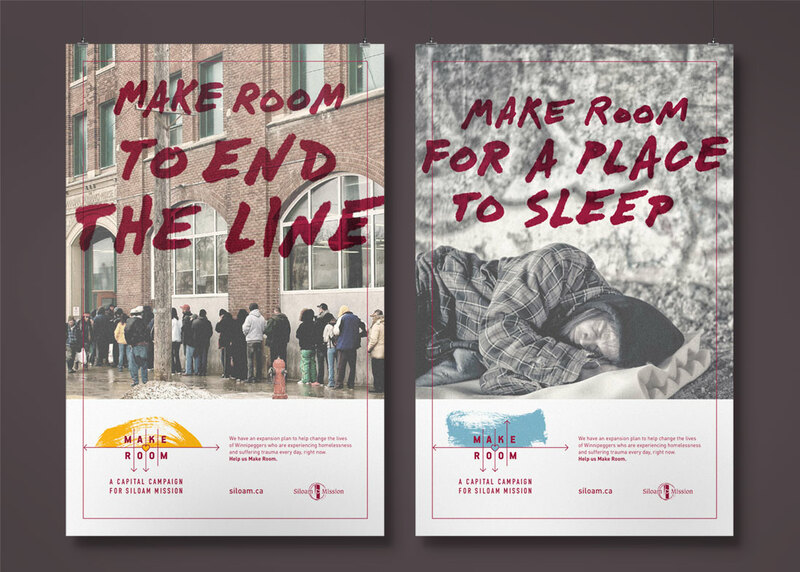 With the number of people facing homelessness in Canada having grown since the mid-90s, it is a crisis that has not left Winnipeg untouched. 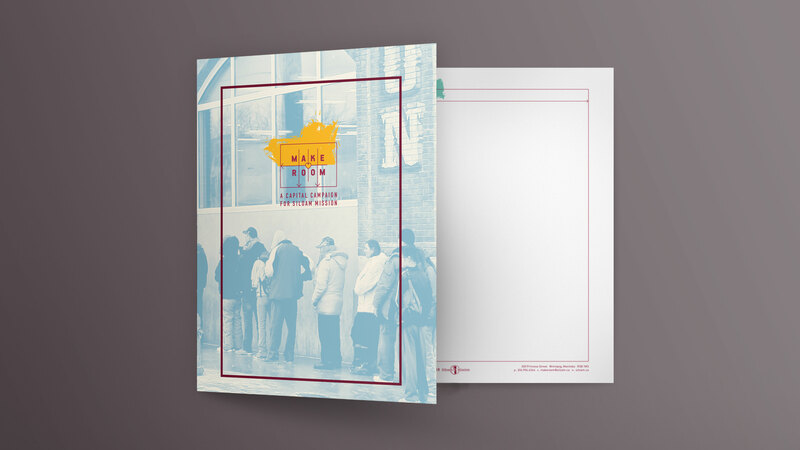 The Winnipeg Street Census revealed that on the night of October 25, 2015, there were a minimum of 1,400 people experiencing homelessness. 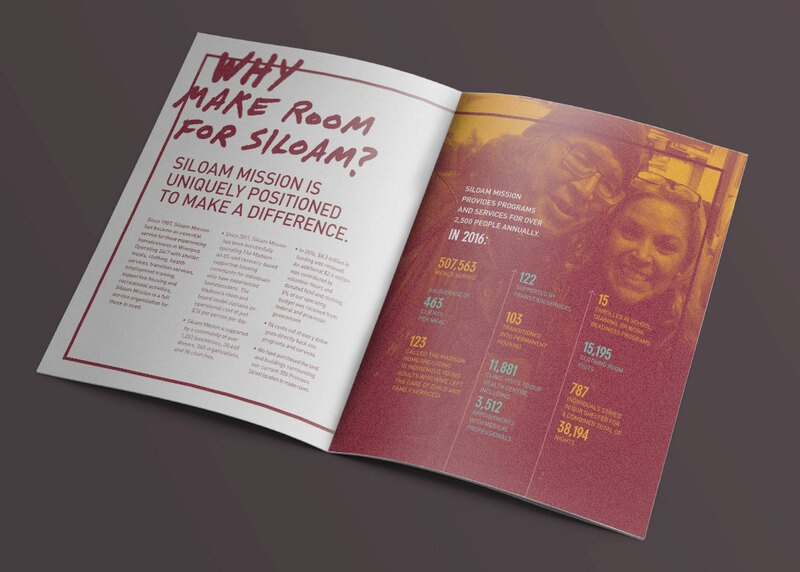 After nearly three decades since the beginning of its mission, Siloam Mission reached the limits of its ability to help. 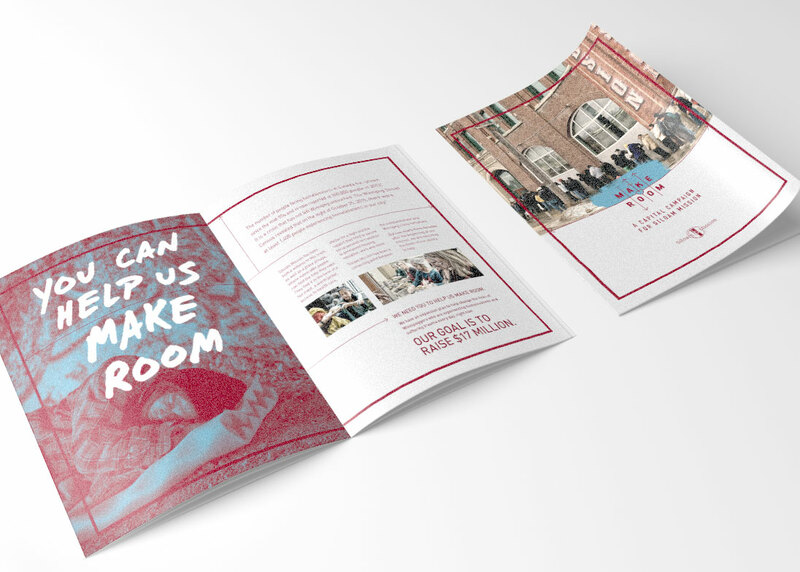 To further its mandate, Siloam Mission has embarked on a capital campaign with funds going towards the construction of a two-storey building that links the current facility to a newly renovated dining room, adding 54,000 square feet for needed programs and services. 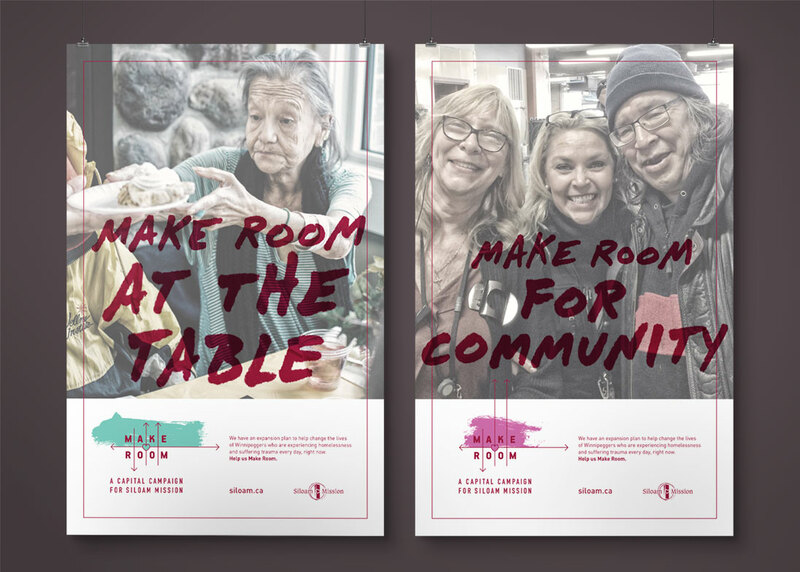 Relish developed a campaign that encourages donors to help “make room” and increase its capacity. 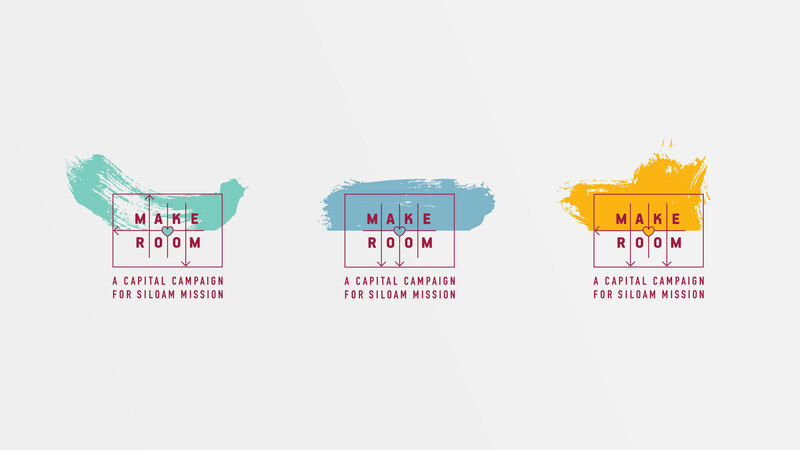 As of July 2018, the Make Room Capital Campaign has raised over $16M and is now in its public phase, close to completing the campaign’s $19M goal.